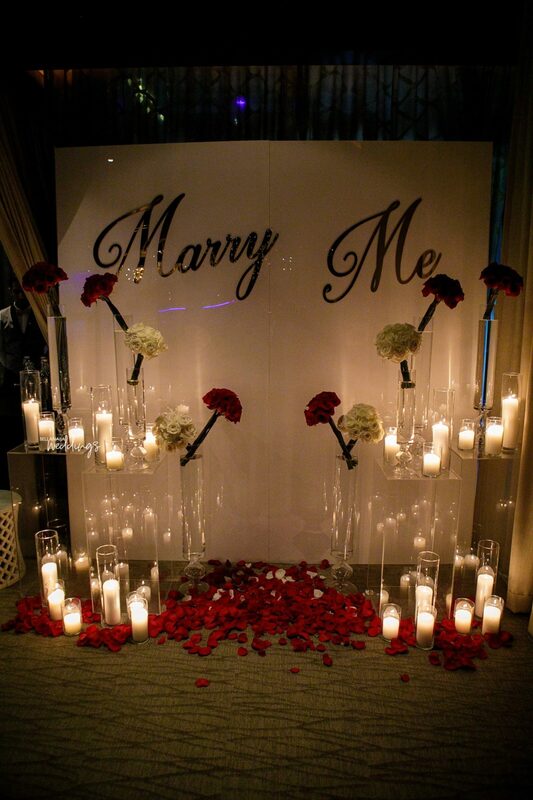 They say the best beginning to a love story is where it meets another. 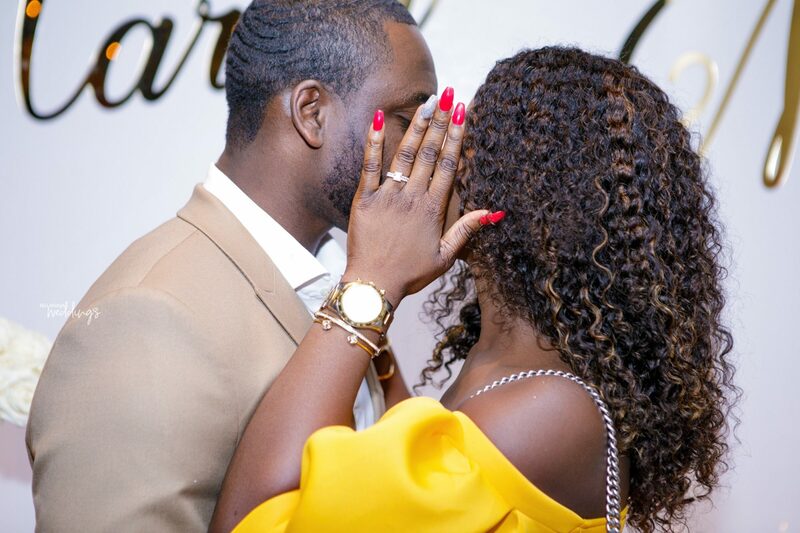 It was a major #BNBling moment for Maryam and Seyi as the two took their relationship and friendship further by agreeing to spend forever with each other. 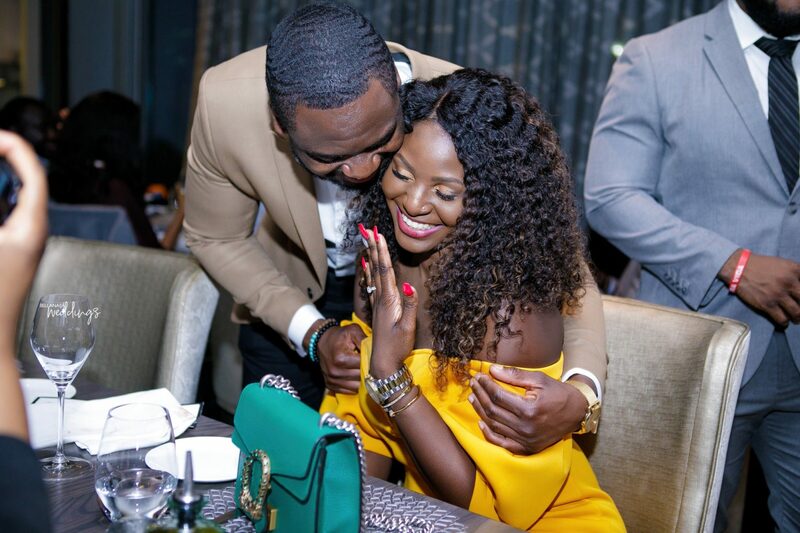 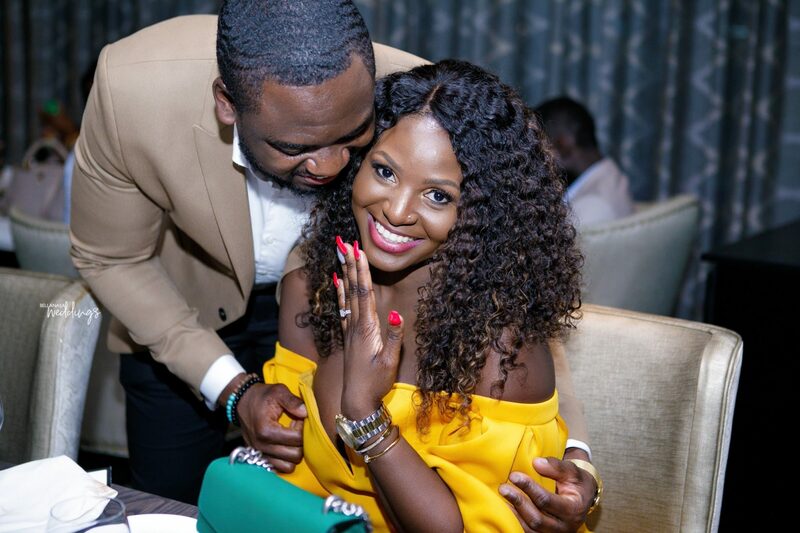 The groom-to-be, Seyi decided to kick off the new year with his love by asking for her hand in marriage and well we have news, she said yes! 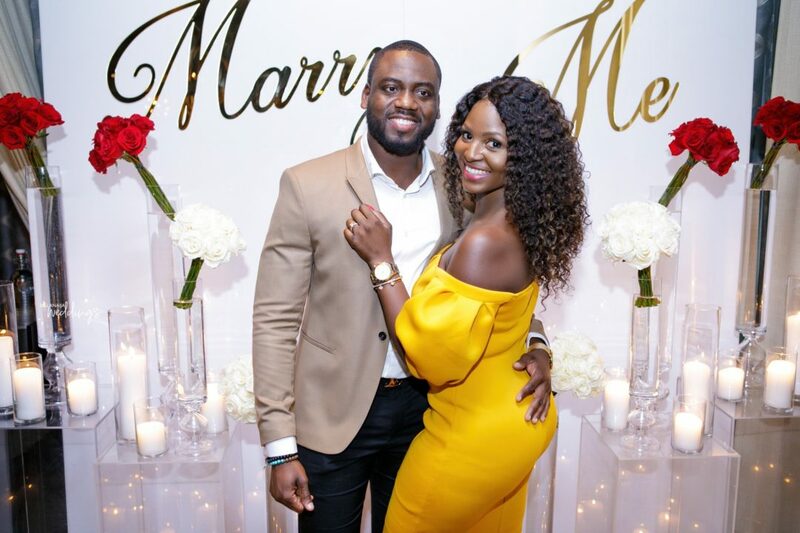 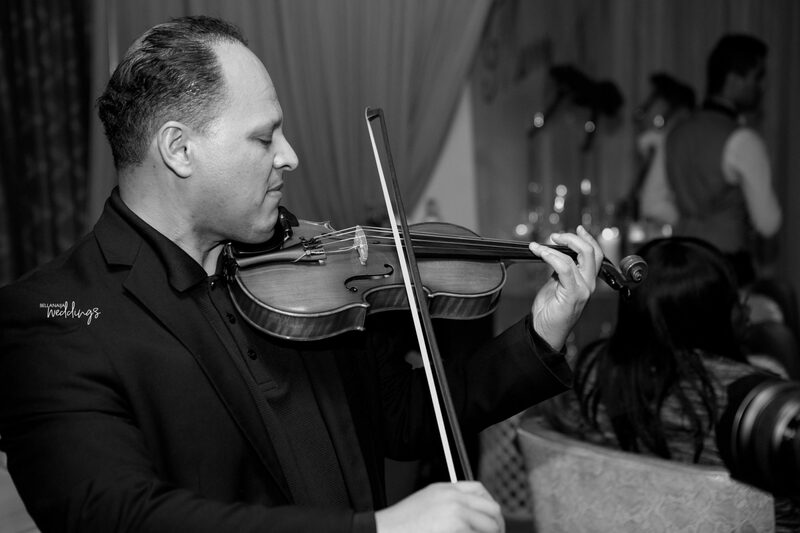 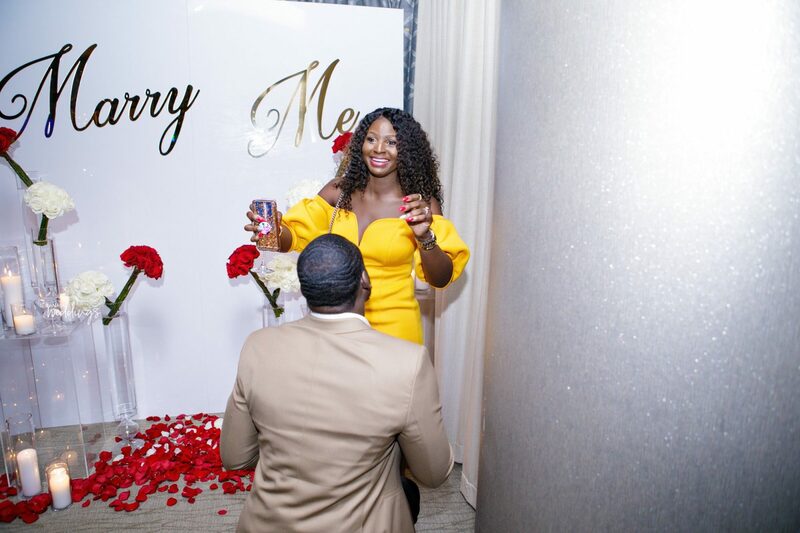 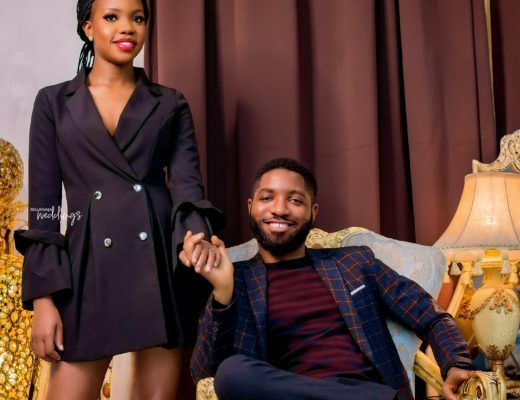 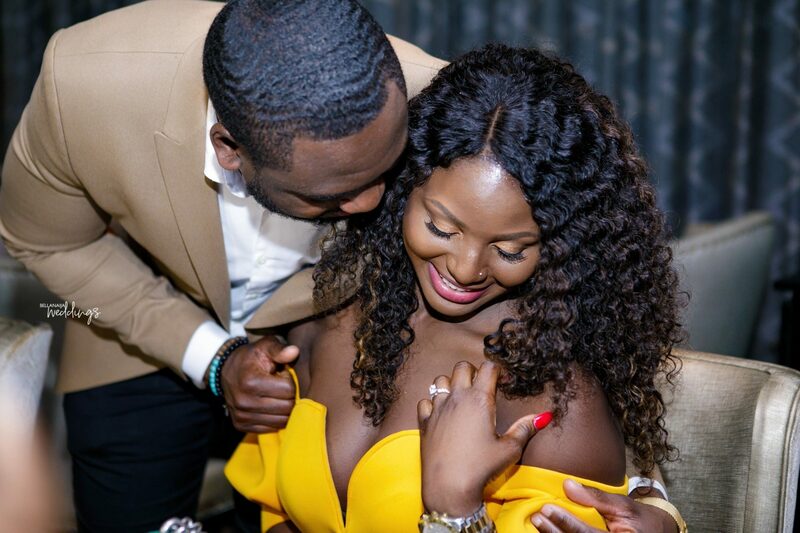 But then we really want to know how he pulled off this beautiful surprise, so the mastermind behind it all, Funmi of Belpek Events share he pulled it off in Dallas. 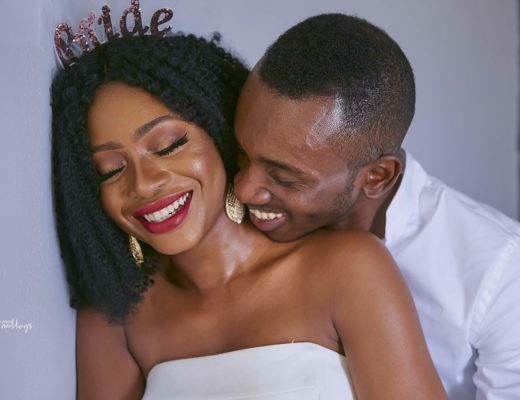 Seyi decided to start 2019 with a declaration, a bold step he had spent the past 4 years preparing and taking notes, he knew her preferences in diamond, and had danced with her at many weddings and knew what her dream proposal would be so he started a new chapter in 2019 by asking Mariam the most important question of a life long journey. 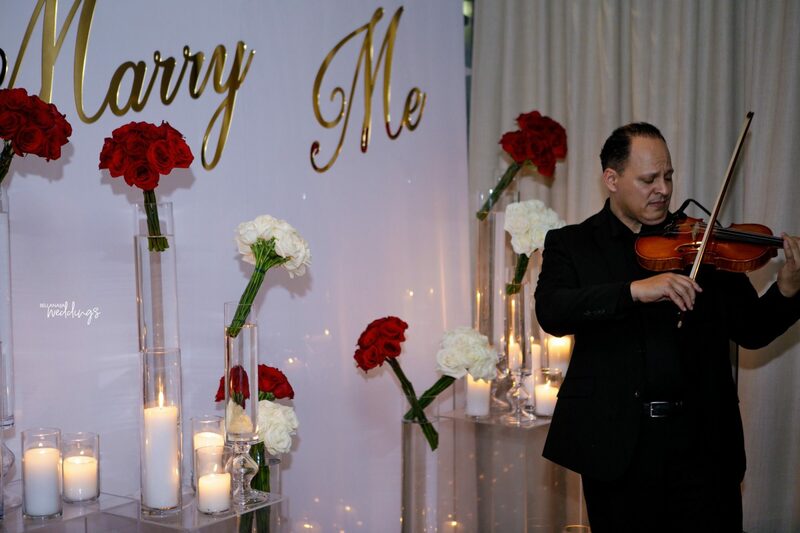 He wanted to surprise her in front of family and friends because that has always been Mariam’s wish. 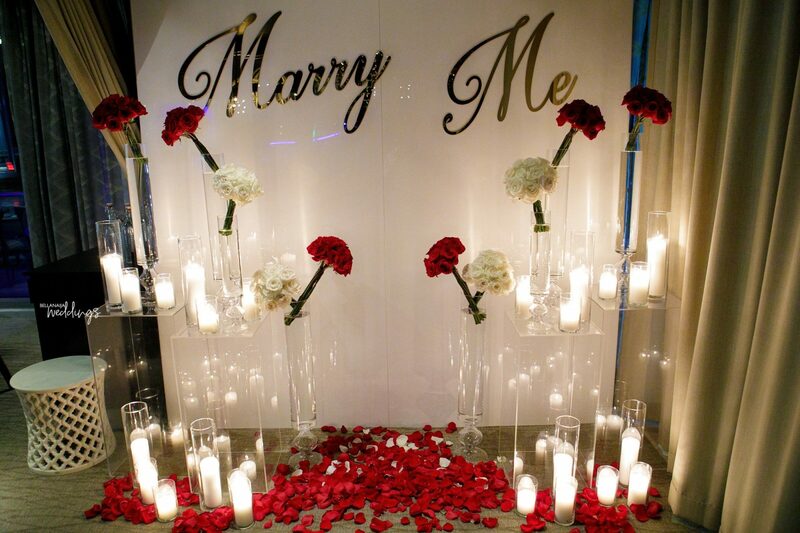 So he had a custom wall prepared with the help of his planner that spelt out in the simplest of ways Seyi’s wish “Marry Me”. 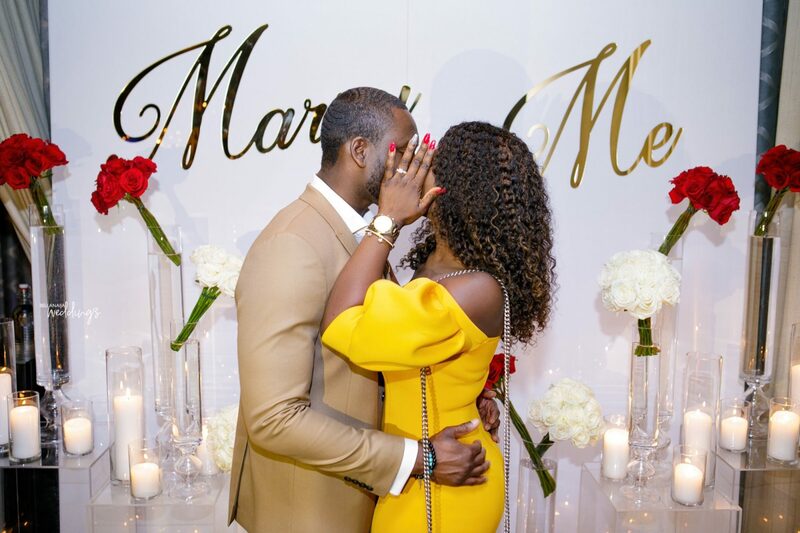 The night of the proposal came Mariam who had thought she was going for their regular Friday date night, but little did she know there was a huge surprise waiting for her at the private dining room of the restaurant which was in uptown Dallas, one of Mariam’s favourite cities in Dallas, Texas to have dinner. 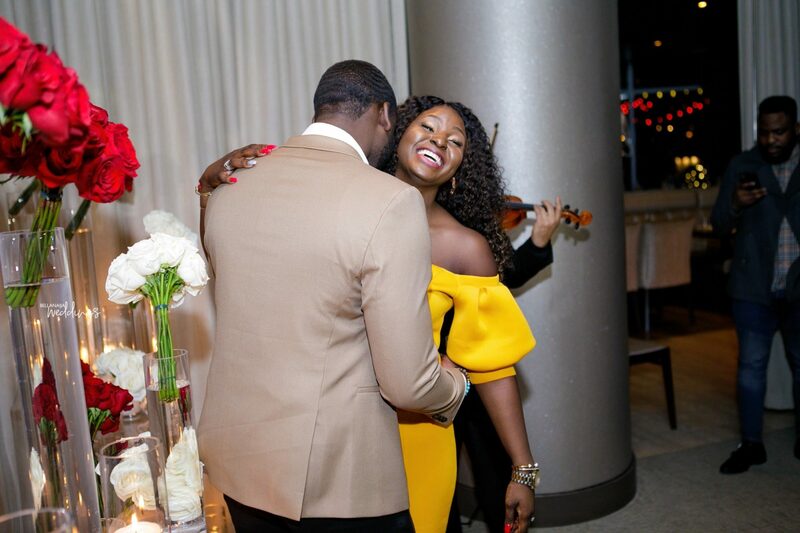 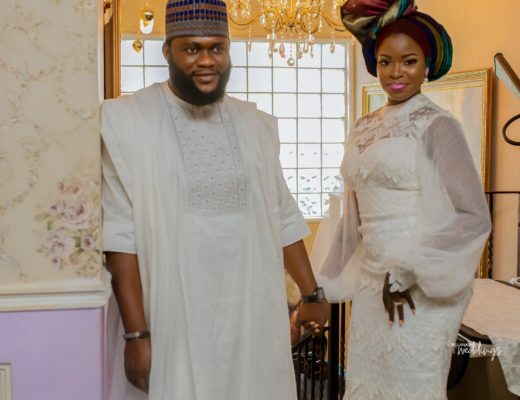 Mariam and Seyi walked in and she was surprised and overwhelmed to see her family and friends, the décor and the violist serenading her to Marry me by Bruno Mars. 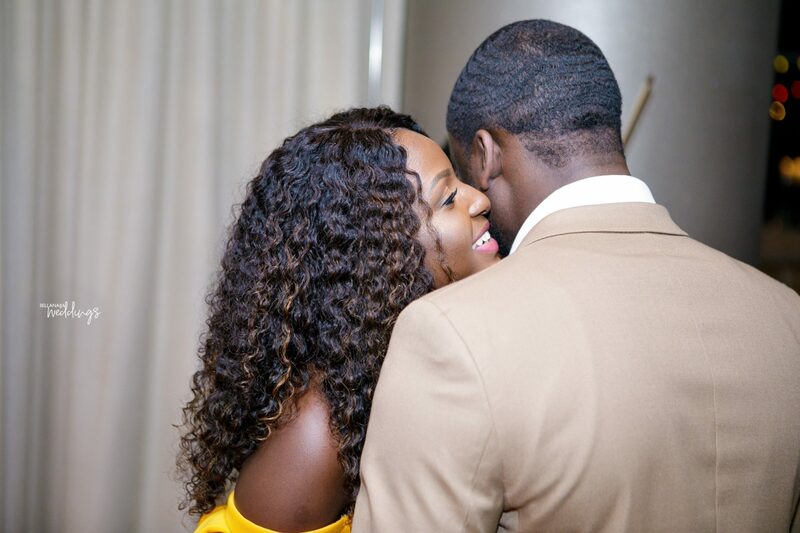 Seyi got on one knee, expressed his love for Mariam and asked Mariam to marry him. 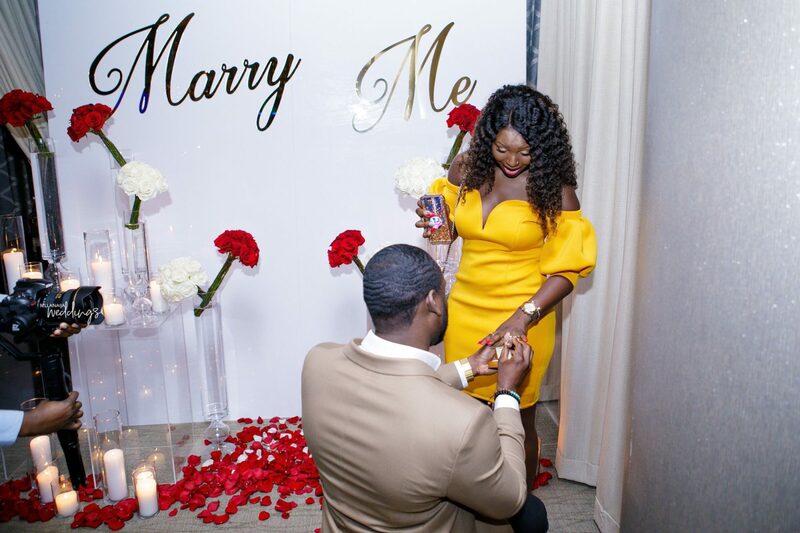 And of course she said yes and this begins their journey. 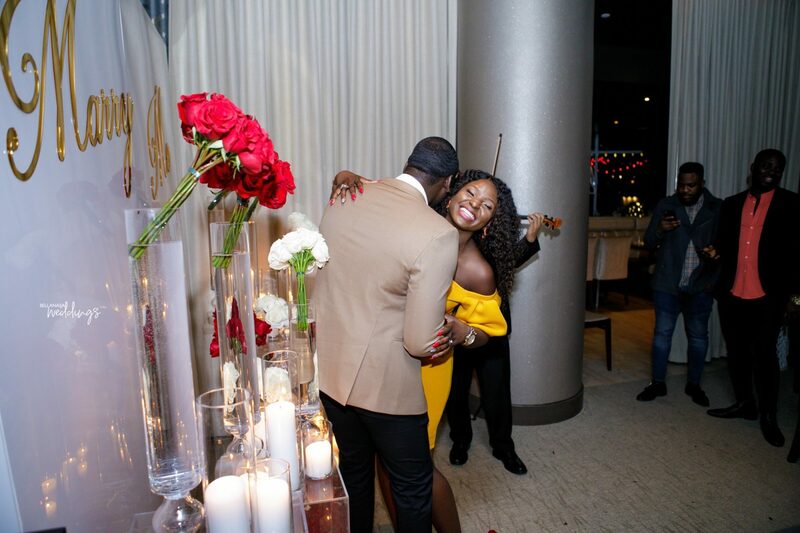 Janet & Kelvin Met the Same Day her Best Friend Got Engaged!